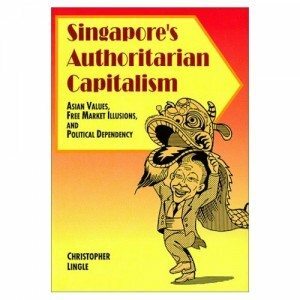 Singapore’s litigious, leading (not-so-dynastic) family! Past is prologue when it comes to Singapore’s litigious leaders as once again the International Herald Tribune (IHT) retreats from a profound’ commitment that journalists should “speak truth to power.”. Reporting on the case includes a redux of my own run-in with the Lee family. As shown during a pair of court hearings, I was convicted of libel for authoring an IHT article even without mentioning Singapore nor (Senior Mentor; ex-Senior Minister, ex-Prime Minister) Lee Kuan Yew by name. In the end, the episode led to my first book that dealt with authoritarian capitalism, an issue I discussed relating to China in my previous posting.